Whole-house audio and video refers to a centralized system that distributes audio and/or video signals throughout the home from many different sources. All music and video sources communicate with an audio/video controller and amplifier that distributes signals at your command. Listen to a different source of music in every area of your home. 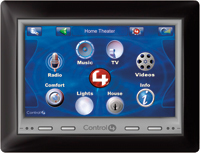 You can even have your system programmed to follow you throughout your home. Motion detectors are used to turn music on and off in different zones. 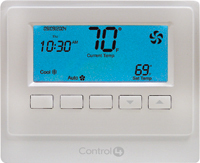 We can program your system to turn down the music when the telephone or door bell rings. It’s all about choice … YOUR choice. You choose the rooms to include, the music or video you want to entertain you, and when and where you want it. Conveniently and effortlessly store your music collection into a music server, which manages your music. This provides easy retrieval and distribution to anywhere in your home. Where a music server stores and manages music, a media server stores and manages your DVD data. Imagine simply pushing one button to access all your DVDs automatically. Picture seeing your entire movie collection instantly presented on screen in your home entertainment room or home theatre.